Striping for a playground, basketball court, tennis area, or backyard sports court requires precise measurements to make sure everything is square and true. Stripe-A-Lot has the knowledge and skill to make sure your sports court turns out perfect! Compared to more basic painting of straight lines, like parking lot striping, painting a sports court requires extra time to make sure the court lines are done according to proper dimensions, balancing the actual space available with great care before the lines are laid. 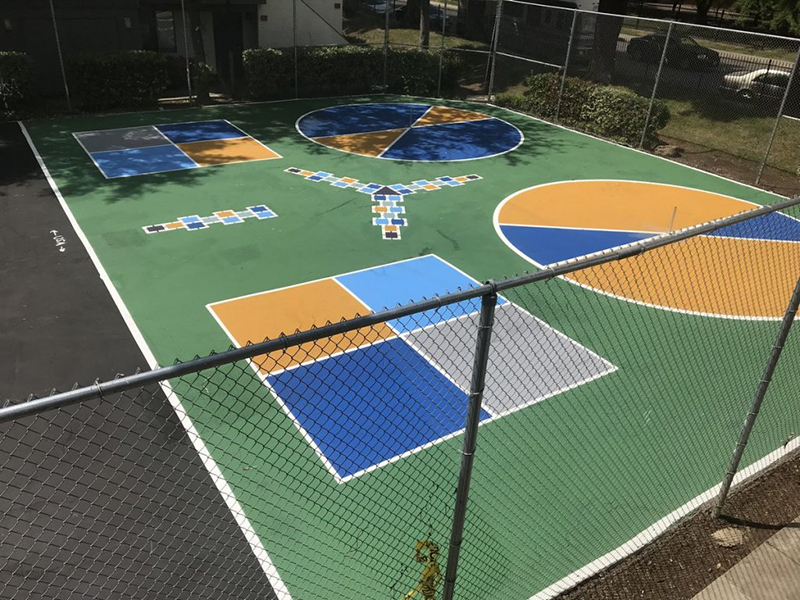 Whether you are painting a tennis, basketball, handball, racquetball, volleyball, badminton, or kickball court at your school or home, Stripe-A-Lot is your Bay Area based striping company for high quality sports court and playground markings. Please call Stripe-A-Lot at 925.250.8920 or contact us.